Man, we just can’t stop talking about concussions—they’re a major problem in some sports, new devices regarding concussions are being marketed all the time, and sometimes they don’t work. Add this new branch to the fire: dehydration may increase the risk of concussion. In a preliminary study presented at Experimental Biology 2014, researchers found that there may be a connection between concussions in college student athletes and their hydration levels. They compiled data on 420 concussions that occurred during more than 3,600 NCAA football games played from 2008-2012. What they found was a correlation between dehydrated players and concussed ones. The brain is surrounded by cerebrospinal fluid, which acts as a cushion during jarring movements of the head. A loss of just two per cent of the body’s water can severely reduce that fluid, leaving the brain with less cushion. Of course, this is all very preliminary. The next step will involve establishing a direct connection. 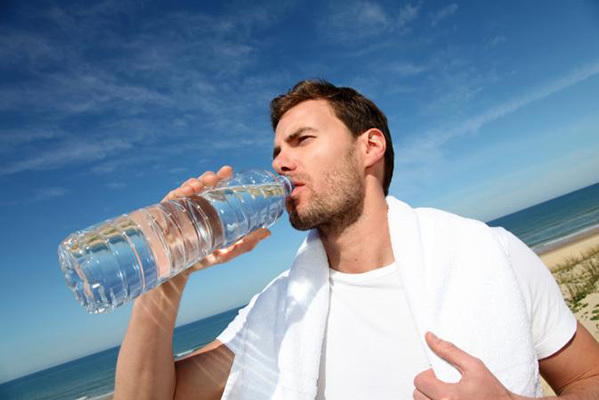 That said, making sure you stay hydrated while playing sports isn’t a bad thing at all—after all, there are enough established benefits that demand you reach for that water bottle.